Nearby parks include Miles Park, Plymouth Meeting Park and Spring Mill County Park. 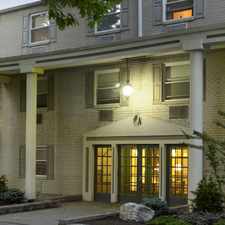 The Glen at Lafayette Hill Apartments has a Walk Score of 19 out of 100. This location is a Car-Dependent neighborhood so almost all errands require a car. The Glen offers the premier location for luxury apartments in Lafayette Hill, PA. Open floor plans accompanied by a variety of upscale features define the one-of-a-kind lifestyle that can only be found at our Lafayette Hill apartments. With a great location and easy access to I-476 (Veteran's Memorial Hwy), you will love calling The Glen Apartments your home. Residents of our Lafayette Hill apartment rentals enjoy our one, two and three bedroom floor plans that add a touch of class and sophistication to any lifestyle. The Glen boasts a number of lavish amenities that include 42-inch kitchen cabinetry, gas cooking, over-sized closets and in-unit washers & dryers. With its convenient location near the most prominent dining, shopping and entertainment venues in Lafayette Hill, The Glen is perfect for commuters all across the Pennsylvania area. Schedule a tour of our luxury Lafayette Hill apartments today and see why residents love coming home to The Glen. Explore how far you can travel by car, bus, bike and foot from The Glen at Lafayette Hill Apartments.